Juju is a Package Manager, service orchestration management tool developed by Canonical for development of Cloud Computing of your own. Juju was formerly known as Ensemble. This free tool Juju is developed by Canonical Ltd.so it is an open source project, closely related to Ubuntu and is hosted on Launchpad. Juju is released under the Affero General Public License (AGPL). Juju is developed for scalable environments which can provide a new virtual machine which provides Ubuntu cloud operating system image on demand. That clearly includes cloud computing and hosting services such as Amazon EC2 , HP Cloud and The Rackspace Cloud. From financial point of view, the good choice are two – The Rackspace Cloud and HP Cloud. What you are thinking people already thought of – The Rackspace Cloud and Juju. The reason is obvious, cost is as you like and the support of Rackspace is excellent. Unfortunately, production level support of Rackspace is not available still now, although it is possible to deploy kind of such own cloud instance with Rackspace, which we pointed towards a bit. 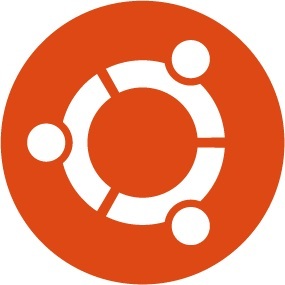 With Ubuntu Cloud Guest you can run Ubuntu Server on a public or private cloud. That means from your Ubuntu Laptop. Second option is Ubuntu Cloud Infrastructure on Openstack where you can deploy your own OpenStack-based IAAS on public or private cloud, that includes Rackspace. The third option is our title – Juju. With Juju charms you can deploy services on a cloud. So the ultimate thing is, with Ubuntu Cloud and Juju, private cloud is not much costly if you can run it on The Rackspace Cloud Unmanaged Server. It is obvious that with few cents or dollars you can play with Private Cloud. There are technical difficulties for directly using Juju on Rackspace Cloud Unmanaged Server. A configuration is needed that requires AWS key. To overcome it, people are developing other ways. We need to configure our own Ubuntu installation, this the first work. By any means, I am not interested with Amazon, because they charge a flat price which is unacceptable, bad customer support and the website looks bad. So, Ubuntu is becoming an indispensable software just like WordPress. Ultimately Debian won the game. This Article Has Been Shared 7134 Times! Rackspace Cloud Versus Amazon or rather why you will go for Rackspace or Amazon for Private Cloud,Public Cloud,Storage, Network services or any managed service. Cloud Computing has been a concern with the rise of PRISM which ensures legal stealing of personal data, business data. Imperialism is not new but here are clever tricks. Cite this article as: Abhishek Ghosh, "Juju Package Manager for Cloud Computing," in The Customize Windows, September 25, 2012, April 21, 2019, https://thecustomizewindows.com/2012/09/juju-package-manager-for-cloud-computing/.